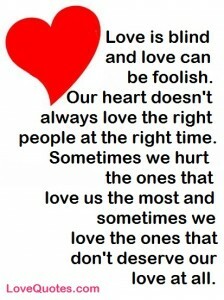 Love is blind and love can be foolish. Our heart doesn't always love the right people at the right time. Sometimes we hurt the ones that love us the most and sometimes we love the ones that don't deserve our love at all.